This set is a 6pc. 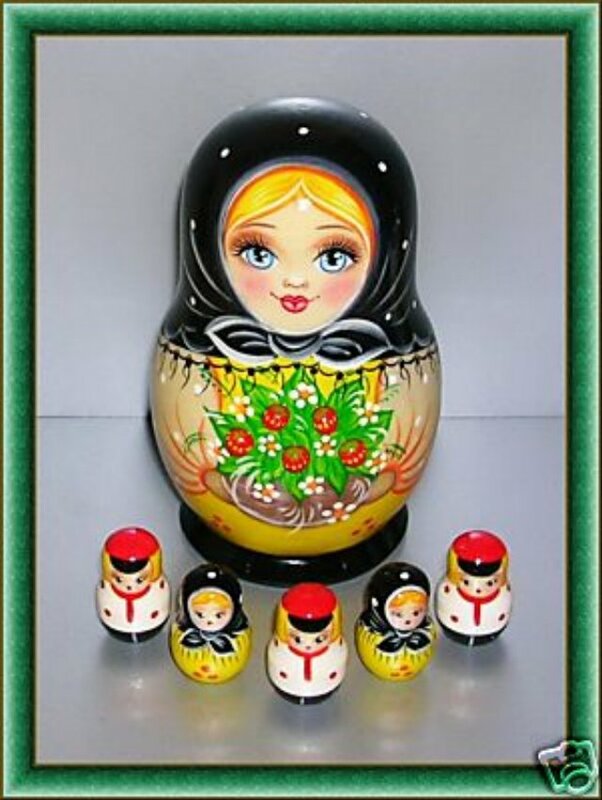 Nesting doll set "Strawberry". The largest is 4.8" tall and holds 3-D strawberries, with 5 little children inside.